The energy collected during the day will be exposed during the night through light emitted from the same photovoltaic hemisphere. The more energy collected, the more the light is intense. Summer nights being the most lit. The spheres start the day by welcoming the first sunrays at dawn and follow the sun’s path becoming self-sufficient sun watches. 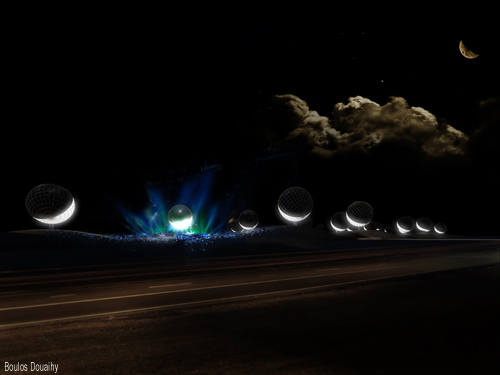 During the night, the spheres become lit crescents seen from afar, indicating the night time. 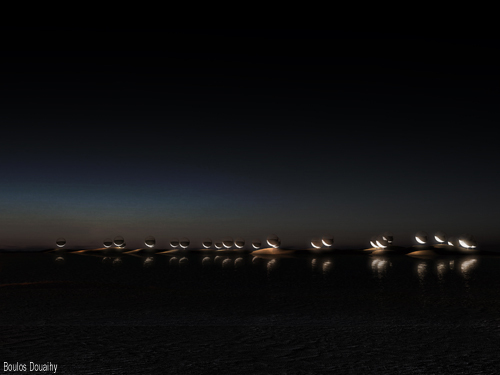 The installation emphasizes the effect of the sun and moon on the sea by exaggerating the tide’s action on the shore’s outline.